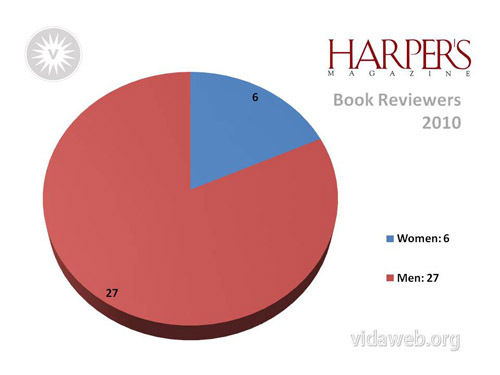 VIDA: Women in Literary Arts has published The Count 2010, its annual tally of authors whose work appeared (or was reviewed) in magazines like the Atlantic, Granta, Harpers, London Review of Books, the New Yorker, the NY Times Book Review, the New York Review of Books and others. The results? Not good. 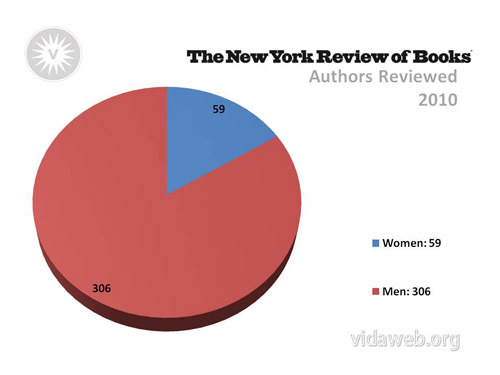 This entry was posted in Feminism and Culture, The Underrepresentation of Women. Bookmark the permalink.